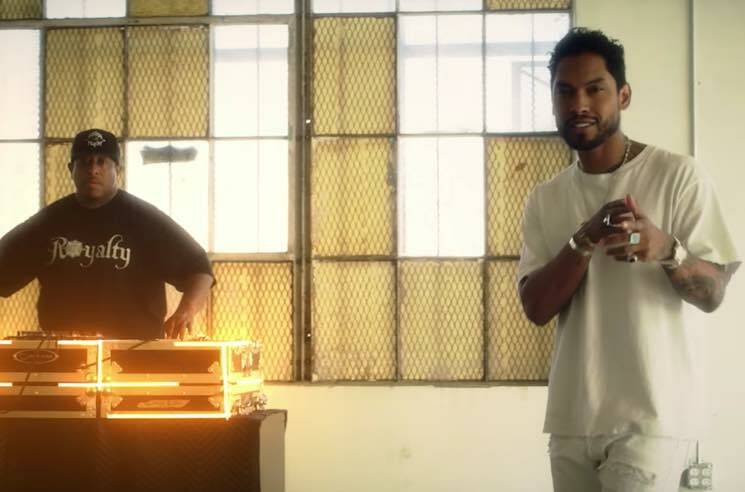 The ever-smooth Miguel recently unveiled an old collaboration with producer DJ Premier called "2 LOVIN U." And while the track didn't make the final cut for 2015's Wildheart, it's original version has been given a new lease on life thanks to an accompanying music video. The clip finds the pair of collaborators performing within the whitewashed walls of an old warehouse between shots of a series of couples professing their love for each other — all dressed up with some funky lighting effects. Watch the video for "2 LOVIN U" below.